Develop a unique visual brand for a new SAS product from Leadership Resources. Explore competitors and research other types of SAS branding. Develop color palette that conveys values “expert”, “future”, and “value”. 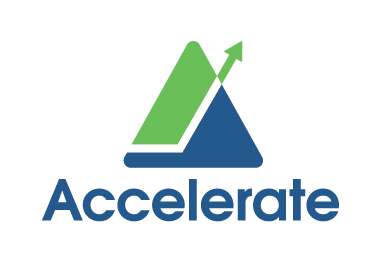 A mark based loosely on the A in Accelerate, combined with the Arrow used in the LR logotype, using refined blue and green.